[Sammyboy.com, RonRon] Gracious, elegant, friendly - a few terms that come to mind when thinking of a Singapore Airlines (SIA) flight attendant, better known as the Singapore Girl. 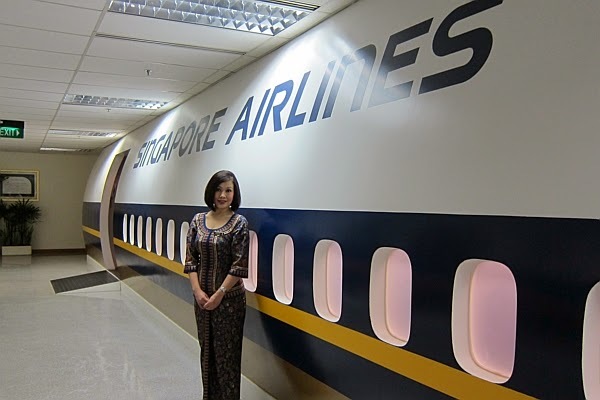 Yet, when The Straits Times Online met chief stewardess Jessie Keuk Suet Ching for this feature profile, the words passion, ambition and unpredictability encapsulate her as a Singapore Girl, 24 years after joining the airline. As a chief stewardess, Ms Keuk wears the vibrant red sarong kebaya. She is in charge of the leading stewardesses who don the green sarong kebayas as well as the flight stewardesses in the cobalt blue uniform, the most recognisable kebaya among the three rankings. This blue kebaya is most associated with the Singapore Girl's trademark look, that for this story, Ms Keuk wore it for ST Online's profile shot of her. Ms Keuk's role as chief stewardess is to determine how the flight service is to be run and ensure that the inflight team provides excellent service according to the needs of each class. Besides her leadership responsibilities, Ms Keuk supervises the newest class on board the Airbus A380 - the Singapore Airlines Suites. Ms Keuk's many years of experience have enabled her to fly on three different aircraft fleets - Airbus A380, Boeing 747-400 and Boeing 777. On average, SIA flight attendants fly between 15 and 18 days per month depending on the type of flight they have been assigned to. They could be turnarounds, medium- or long-haul flights. When asked about the stress level that comes with having to work erratic or long hours, or deal with demanding passengers, Ms Keuk quipped: 'What stress?' She added that SIA flight attendants are trained to empathise with their passengers in meeting their needs. 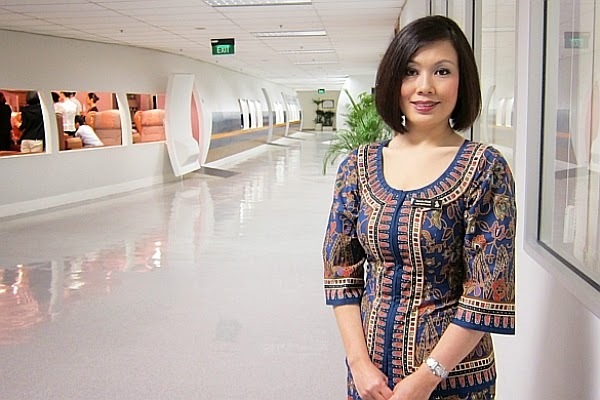 It doesn't take a toll on her personal life too, as Ms Keuk's husband is an inflight supervisor with SIA. However, the couple does not directly work together even though SIA allows for its flight attendants who are married to each other to do so on the same flight. This 'couple-coded' policy was put into place to provide married couples the opportunity to be with one another, particularly since their work requires that they travel throughout most of the year. Before joining SIA in 1987, Ms Keuk was a secretary for slightly under a year. However, she didn't enjoy working in an office environment. 'I couldn't stand sitting behind a desk,' she said. Instead, she had a 'passion for the service industry' and decided to become a flight stewardess. After 24 years on the job, this Singapore Girl is still aiming high. Last edited by RonRon; 17-12-2011 at 06:05 AM.